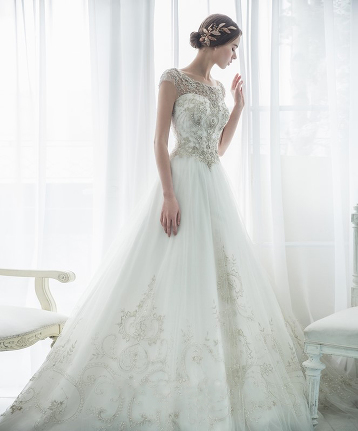 Splendidly elegant, and charmingly pretty, this golden gown from Egosposa featuring exquisite jewel embellishments is incredibly breathtaking! 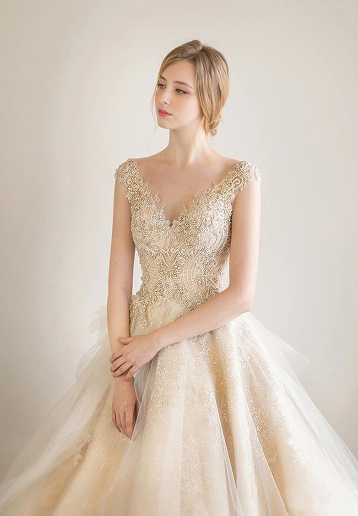 This glittering wedding gown from Nouvelle Mariee featuring sophisticated jewel embellishments is making us swoon! 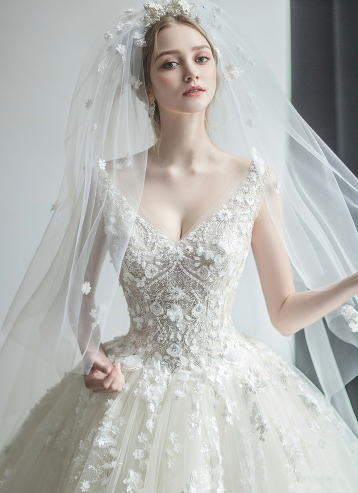 This long sleeved wedding gown from Jenny Chou Wedding featuring cascading embellishments is an work of art! 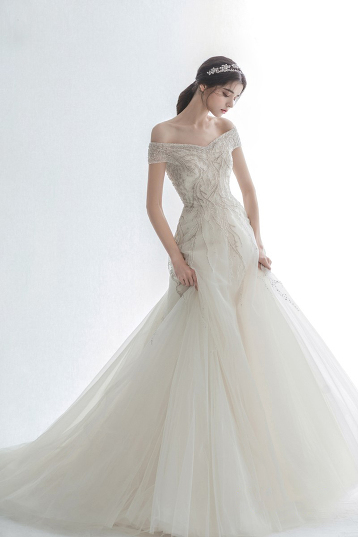 A contemporary wedding dresses with decidedly modern twists from B.B. 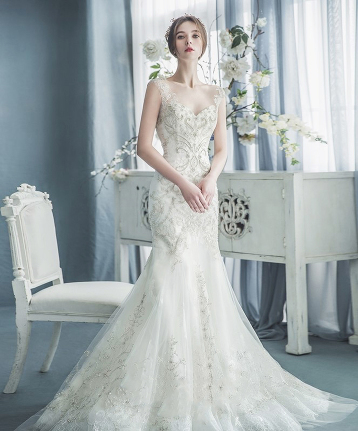 Duo featuring exquisite embellishments! 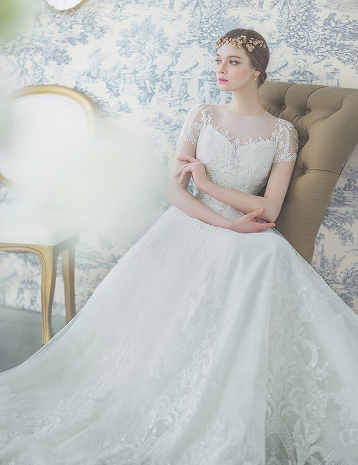 This romantic gown from Lace and Dolly featuring exquisite blue jewel embellishments is off the charts beautiful! 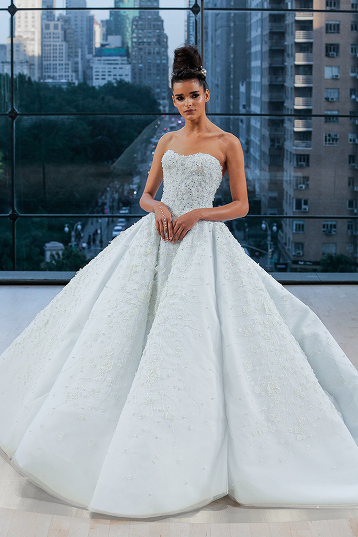 We’re obsseseed with this wedding gown from Alexandra Bride featuring sophisticated jewel embellishments! 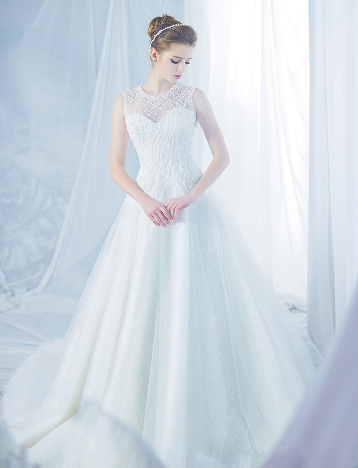 This elegant wedding gown from Alexandra Bride featuring sophisticated jewel embellishments is taking our breath away! 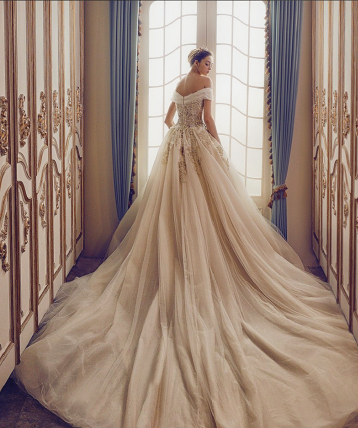 This off-the-shoulder wedding gown from Robe de K featuring sophisticated jewel embellishments is obsession-worthy! 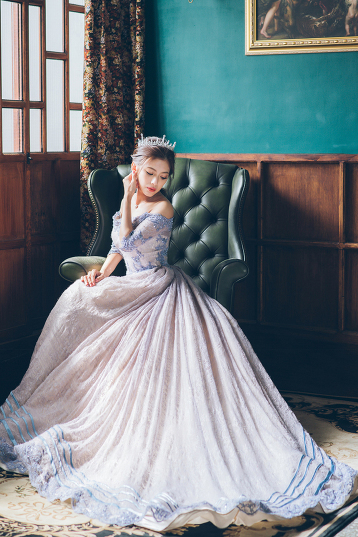 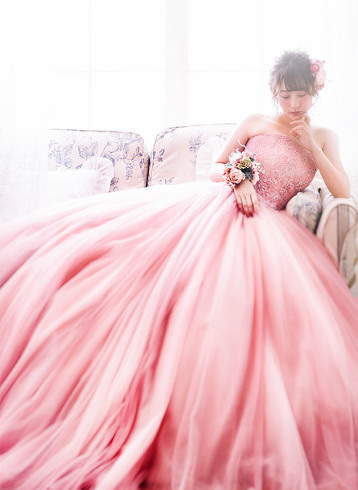 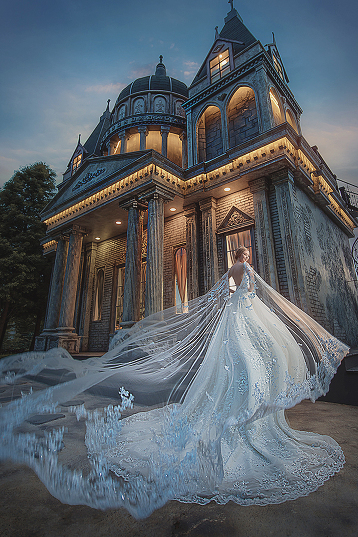 This sophisticated wedding gown from Dbliss Korea featuring exquisite jewel embellishments is off the charts beautiful! 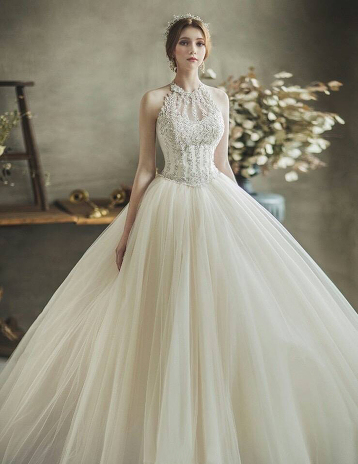 This chic wedding dress from Clara Wedding featuring cascading jewel embellishments offers a beautiful combination of timeless elegance and fashion-forward style! 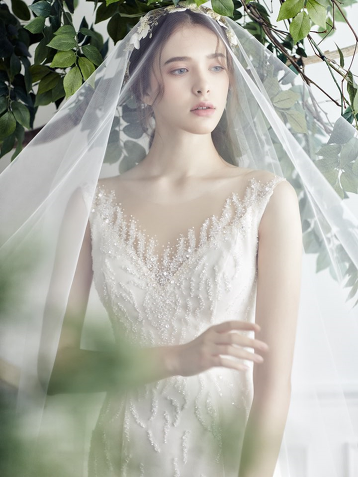 This vintage-inspired wedding gown from Blanc Neul featuring romantic airy sleeves and exquisite lace embellishments is beyond incredible! 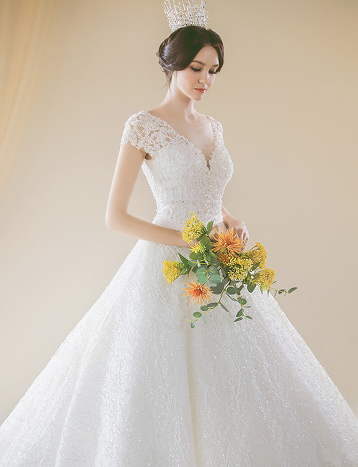 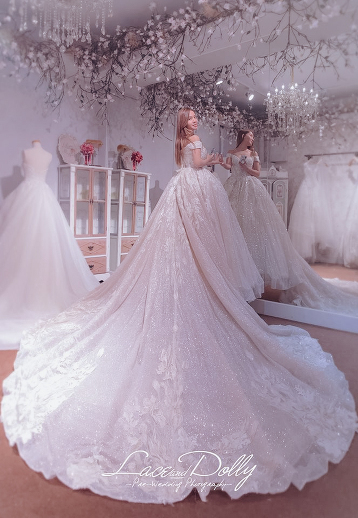 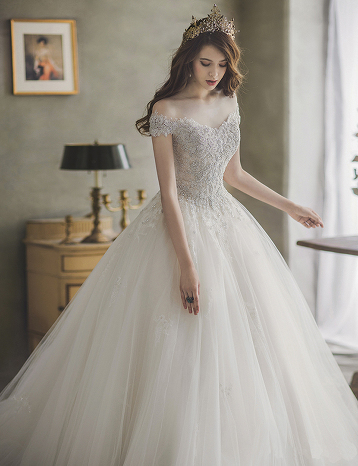 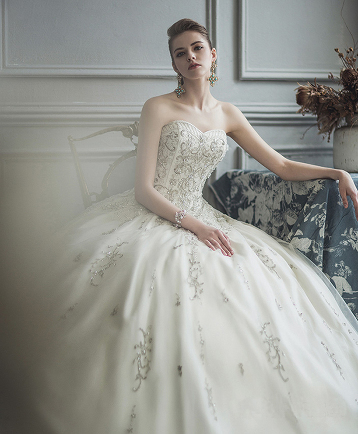 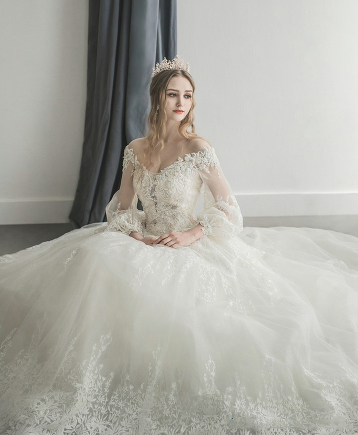 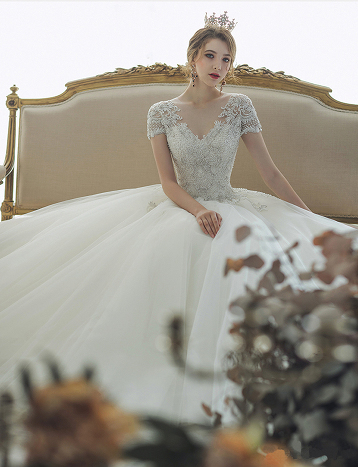 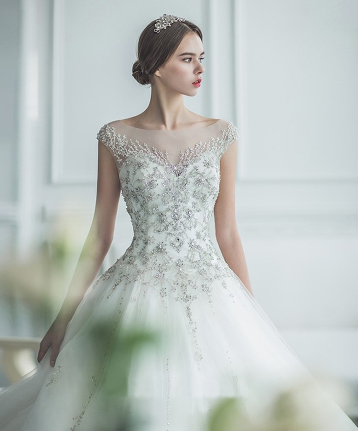 This classic wedding dress from Marie Belle is enchanting us with angelic romance! 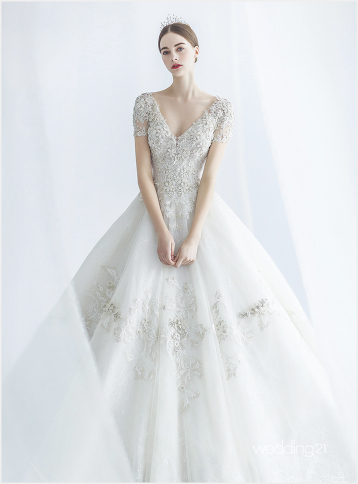 We cannot resist this gorgeous wedding gown from Blanc Neul featuring sophisticated jewel embellishments! 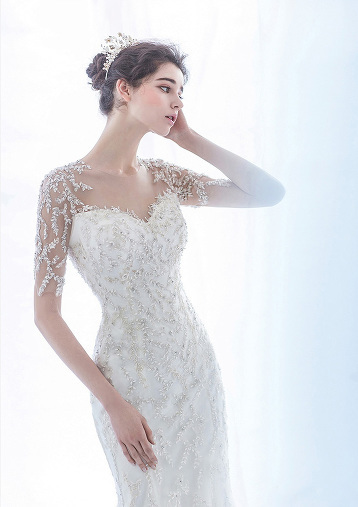 This wedding dress from BJ Hestia Wedding featuring delicate jewel embellishments is off the charts beautiful!